On-demand delivery service app MagicTiger has acquired Zoyo, an artificial intelligence-powered shopping platform, for an undisclosed amount. As a part of the deal, the Zoyo app will be integrated with MagicTiger, the companies said in a press statement. "With the addition of the Zoyo team, we also have significantly strengthened our senior business and product team. We will be looking to scale much faster now" said Arun Kumar, co-founder and COO of Magictlane App Services Pvt Ltd, which runs MagicTiger. 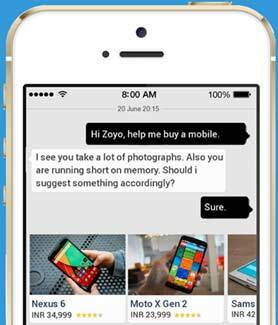 Zoyo was founded by Shashank Singla and Priyanka Prakash early this year. Singla, an IIT Delhi alumnus, worked with Goldman Sachs and several startups before co-founding Zoyo. Priyanka is an alumnus of Carnegie Mellon University. She was previously associated with InMobi. MagicTiger allows users to order groceries, food, movie tickets, travel tickets and any other service. In July, MagicTiger had acquired rival startup Godeliver for an undisclosed amount. MagicTiger was founded by Pratyush Prasanna (former executive of Paytm and Plustxt) and Arun Kumar (ex-employee of Tutorvista and Portea). It is promoted by serial entrepreneur & investor K Ganesh and Srini Anumolu through the venture building platform Growthstory. Chat-based concierge platforms seem to be attracting considerable investor attention this year. Lookup, GoodBox and Goodservice had raised funds early this year. While Lookup secured an undisclosed amount in Series A funding from Twitter co-founder Biz Stone, GoodBox raised $200,000 (about Rs 1.3 crore) in seed funding from Manipal Media Networks. Goodservice, an on-demand chat based concierge app, secured $1.6 million (Rs 10 crore) in seed funding from Sequoia Capital in June.